Alias Wale Victor Folarins. 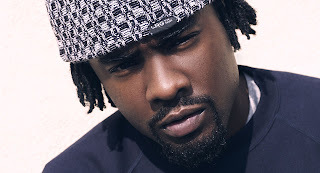 Wales real name is Olubowale Victor Akintimehin was born September 21, 1984, but better known by his stage name Wale. Wales if from Washington, D.C. born to Nigerian parents. He gained local fame when he dropped his song Dig Dug-(Shake It) and was recognized regionally as one of the best rappers in his town. Wale a rapper of phenomenal lyrical grace was quickly discovered by Producer Mark Ronson in 2006 later signing to him with Allido Records in '07. While signed to Allido Records and began releasing numerous mixtapes and appeared in national media for the first time including MTV along with numerous urban magazines. In '08, Wale got signed with Interscope Records for $1.3 million, and debuted his album Attention Deficit was in 2009, recieving excellent reviews with critics. In '11 Wale signed with Rick Ross's Maybach Music Record label. Wales second album, Ambition was released on November 1st '11. (11-1-11). He graduated high school in Gaithersburg, Maryland from Quince Orchard High School in '01. Later attended Robert Morris University then Virginia State University on a football scholarship, transferred to Bowie State University but soon dropped out and heavily pursued his career as a prominant Rap Artist. More About Nothing '10)- Often considered the best Wale Mixtape so for.